The program's mandate is simple: to raise funds for local charities, clubs and organizations. 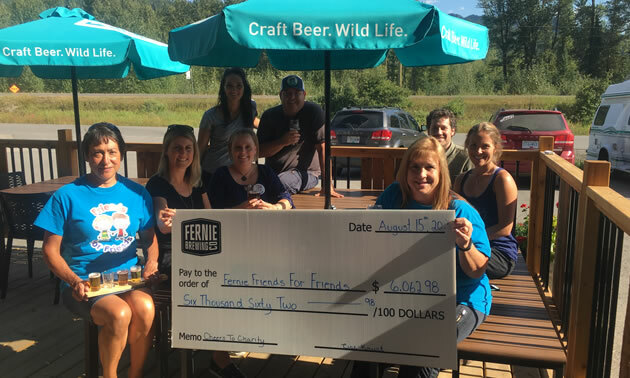 (Fernie, BC) – Fernie Brewing Co.’s “Cheers to Charity!” (CTC) program is proving popular among Fernie beer drinkers and community groups. When the charitable program began in December 2013, Fernie Brewing Co. (FBC) had a simple mandate, which was to raise funds for local Charities, Clubs and Organizations. Invaluable, local, and with the focus of benefitting a group rather than an individual, were perhaps the three fundamental features of the new program. Over two and a half years later, they still are. For $5, visitors to the FBC Tasting Room can try a paddle of four beers, from the daily tap lineup. In return, every cent taken goes directly to the current charitable recipient. 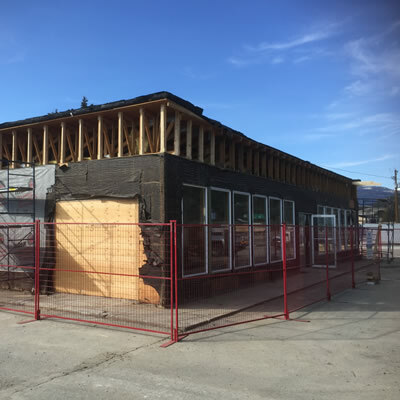 A simple way for FBC to say thank you for supporting a local Fernie business. Recipients rotate every six weeks, or three months, depending on the season. Where once the average donation was around the $2,000 mark, recent donations have been well in excess of this figure, which is great news, as it means donations can be put directly into larger new projects, events, or in the most recent case, a life changing measure. FBC’s most recent recipient was Fernie Friends for Friends. 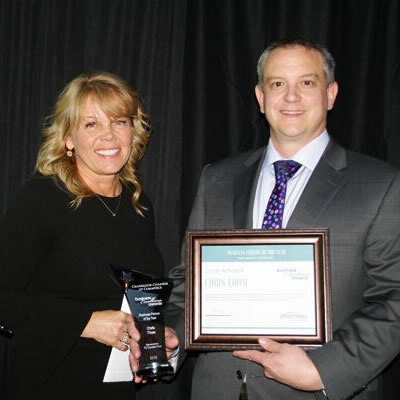 Founders Chris and Shelley Moulton formed Fernie Friends for Friends from their own personal experience, to help cope with the extra expenses incurred during the treatment of cancer, and has since helped numerous Fernie locals with their individual battles. You don’t get any more deserving than that, and as a result FBC was crossing fingers their six-week donation period, finishing August 15th , would break records. It did. 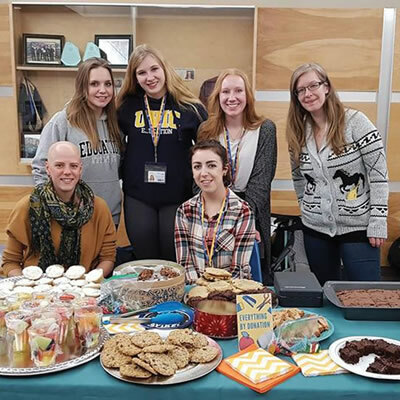 Wapiti Music Festival topped previous takings with $4,891.11 at the end of June, going towards helping bring environmentally ethical cups to the popular recent Fernie festival. However, Friends for Friends took gold, receiving a whopping $6,062.98. This brings the total Cheers to Charity dollars donated to date, up to $38,221.83. Unsurprisingly FBC has a number of recipients lined up, with the current recipient being the Fernie Senior Citizens Centre, who will be collecting until the end of September. FBC’s current opening hours are Monday to Thursday 10AM-6PM and Friday and Saturday 10AM-8PM, where staff are always ready and willing to pour you your most charitable and deserving beer of the day.